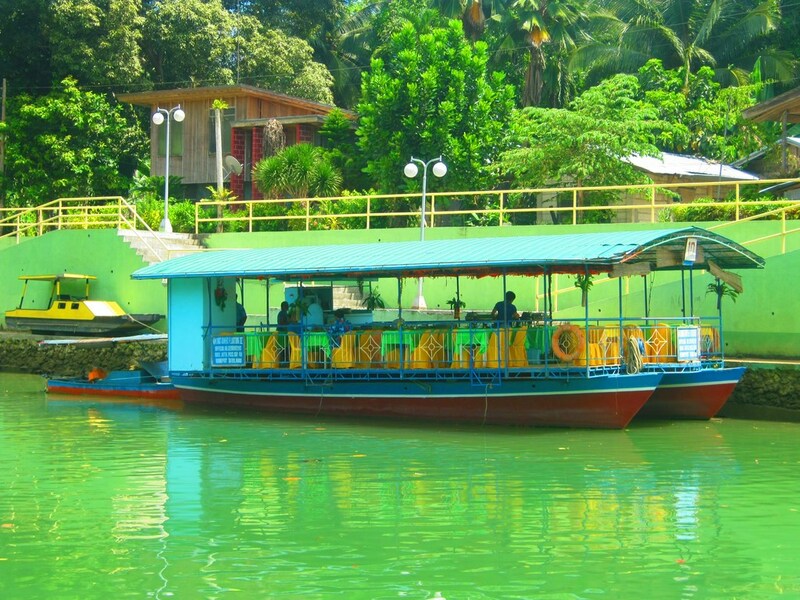 One of the popular tourist activities in the province of Bohol is cruising down Loboc River while buffet dining on a floating restaurant. Emerald green because of the algae, Loboc River is 12 meters wide and 4 meters deep. You don't cruise down the whole river, but the ride is around 40 minutes. At the turning point, you'll find three mini waterfalls and a band of musicians on a floating raft playing folk tunes for the tourists. I did some changes on the original photo like cropping the bottom and adjustint the saturation, brightness and contrast levels to really depict the colors of the river.